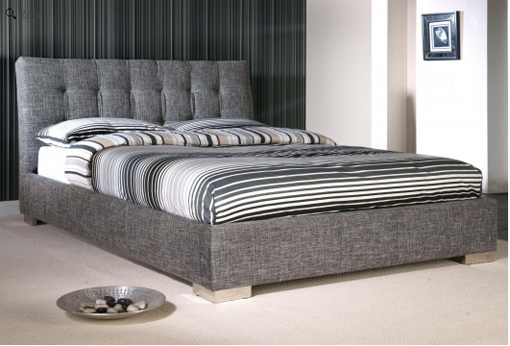 Upholstered Beds - the Unsung Heroes! 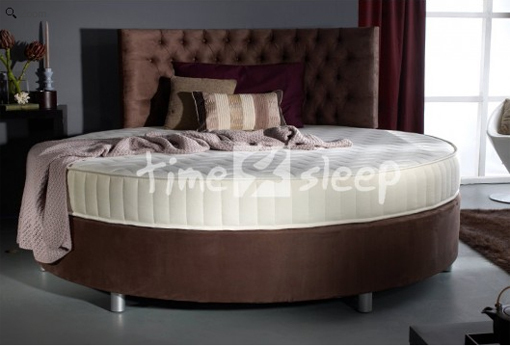 Upholstered Beds – The Unsung Heroes! When it comes to beautifying your bedroom, the biggest, most central item of furniture in your decor scheme is often the least imaginative! I’m talking about the bed of course, and the plethora of bland divans and bedsteads that could bore you to sleep. 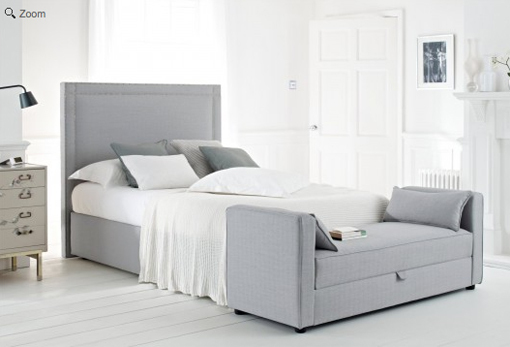 However, if you fancy adding a little more excitement in the bedroom, and who wouldn’t, then why not shake things up a bit in the form of bedroom design’s most unsung hero, the upholstered bed. 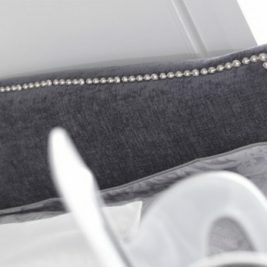 Whilst there are many rock stars in bed frame design, I find that when it comes to a soft finish the upholstered bed is unfairly pushed off top billing by leather clad numbers, so I’d like to set the record straight. 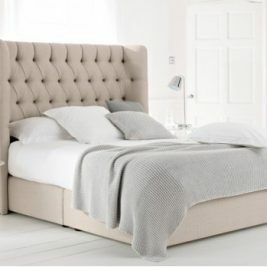 Upholstered bedsteads positively ooze sophistication whilst stepping out into more unique texture territory with stunning weaves and soft faux suede. 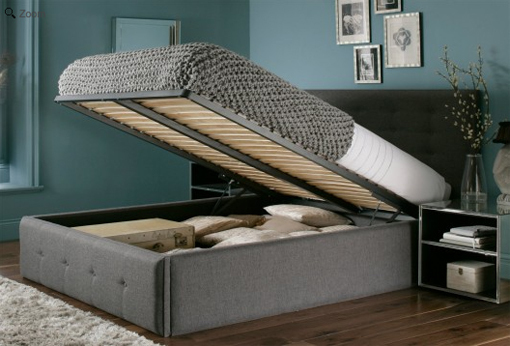 Upholstered beds also tick all of the boxes in the hidden home storage stakes with hinged bases that could house an extensive shoe collection, or deep drawers for your drawers! On the cosmetic side, you can find a bed that conveys just about any style statement, from traditional to timeless. 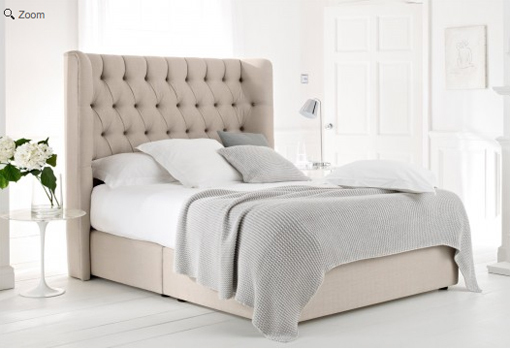 Towering headboards complete with winged sides create a grand old palatial look, whilst bed bases that reveal hidden TV sets, like a slick Bond gadget, hum a more modern tune – there are even circular creations on the market to really get a scheme shaken, not stirred! 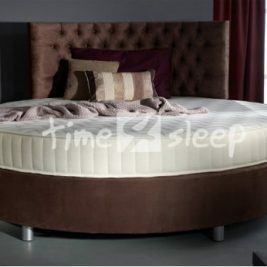 Some bed ranges also offer up matching ottomans, to adorn the foot of the bed, in coordinating fabrics for a classically cohesive looking sleep space. 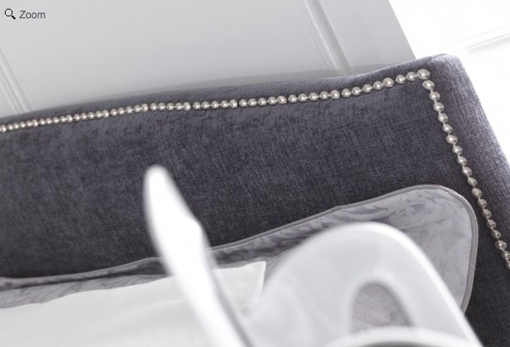 If the devil is in the detail when it comes to selecting your ultimate sleep sanctuary, then you can discover subtle splashes of shimmering elegance in some superb studded headboards, or a fresh flash of chrome feet for those who crave a contemporary bed. 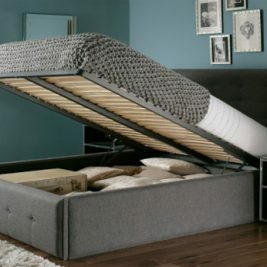 Whatever style of bedroom you dream of, why not sleep on the idea of an upholstered bed before jumping into a new sack?